Philippines Landmark for Tours & Packages at www.asiatravel.com	With over seven thousand islands, Philippines boasts of its wide range of tourist destinations. This country offers beaches that come in different forms and hues, land formations and marine biodiversity that are indeed rare sight for visitors, and man-made structures that reflect the rich culture and tradition of the Filipino people. Let Asiatravel make you feel the fun in the Philippines with its wide range of tour packages and services across the archipelago. 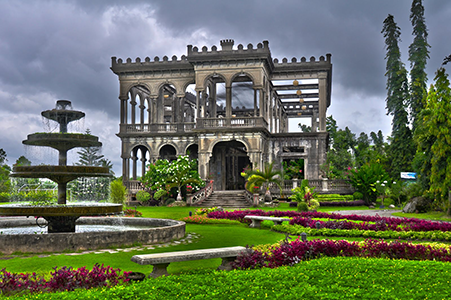 The City of Bacolod is a major tourism destination in the Province of Negros Occidental in Western Visayas, a cluster of islands at the heart of the Philippine Archipelago. The biggest tourism asset of the city is the friendly and genuinely hospitable people, whose lilting Ilonggo dialect coupled with their winsome smiles have made Bacolod famous as the CITY OF SMILES. Other than being known as such, Bacolod is also famous as Mass Kara Festival City because of the world-renown MassKara Festival which the city holds every October, specifically on the 3rd and 4th Sunday of the month where bright coloured costumed dancers with with dazzling smiling masks dance and gyrate in the city’s major streets. 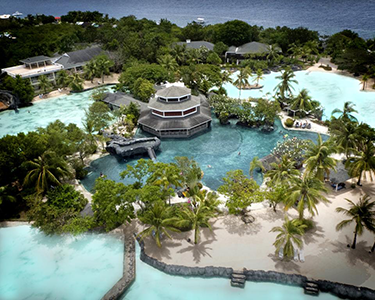 Mactan or Maktan is a densely populated island located a few kilometres from Cebu Island in the Philippines. The island is part of Cebu Province and it is divided into Lapu-LapuCityand the municipality of Cordova. The island is separated from Cebu by the Mactan Channel which is crossed by two bridges: the Marcelo Fernan Bridge and the Mactan-Mandaue Bridge. Being one of the major tourist Islands of Cebu, Mactan Island boasts of a diverse collection of tourist spots and attractions. Being a coral island, Mactan offers some of the best diving, snorkeling, island hopping, jet ski, sailing and cultural activities of any island in the Philippines. The Philippines’ very first Submarine for Underwater Tour can be found in the Queen City of the South, Cebu, called the “Cebu Yellow Submarine”.Get ready Philippines, experience spectacular, breath-taking undersea views, a mixture of colorful species and well-crafted corals in the depths of Cebu, considered as one of the best islands in Asia! Definitely, It’s More Fun in Cebu Philippines! The City of Cebu is the capital city of the province of Cebu and is the “second city” of the Philippines, being the center of Metro Cebu, the second most populous Metropolitan area in the Philippines after Metro Manila. It is the fifth most populated city in the country. Cebu City is a significant center of commerce, trade and education in the Visayas area.The city is located on the eastern shore of Cebu Island. 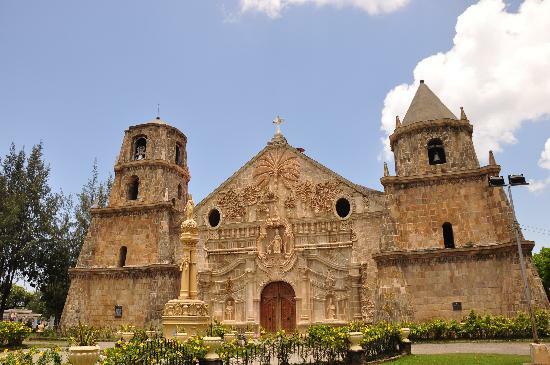 It is the first Spanish settlement and the oldest city in the Philippines. Cebu is the Philippines main domestic shipping port and is home to about 80% of the country’s domestic shipping companies. 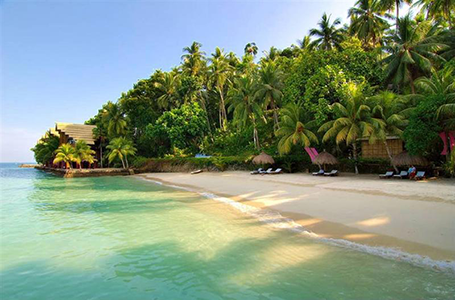 Davao City & Samal Island Tour Package – For white sand beach lovers and freaks. 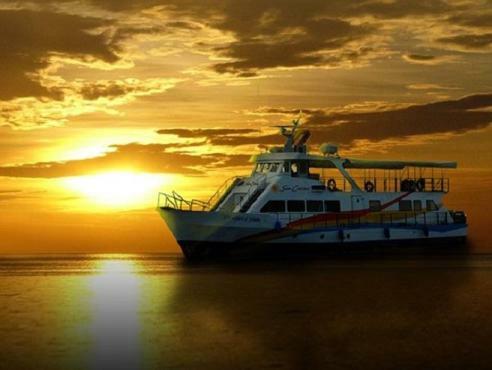 A great way to see Davao city, its countryside, and the island of Samal. 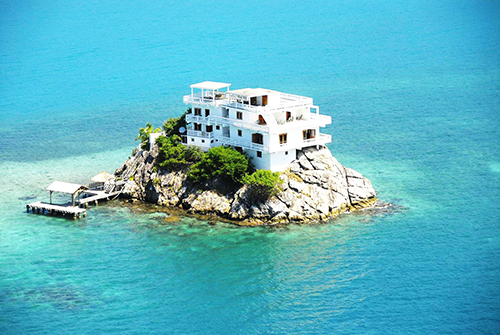 Top this off with nights in a beach resort in the island. This is for the young at heart! Kids will definitely enjoy! Davao City Tour & Shopping Package – A Davao city tour package that will take you to the places of interests in Davao city – both in the bustling city and its countryside. The guided tours will acquaint you with what Davao city is known for.There are many shopping centres that dot the city but these are the notable ones in Davao City. Abreeza, which opened in May 12, 2012, is the first and largest Ayala Mall in Mindanao.SM City Davao is the 1st SM Mall in Mindanao; and SM Lanang Premier, is the 1st and only SM Premiere Mall, and also the largest shopping mall, in Mindanao. Iloilo is most known for its old buildings and churches, which are reminders of its rich history, cultural, and affluence. Food is also another thing that Iloilo is known for. Destinations in the City of Iloilo can be conveniently accessed by jeepney, taxi, or private vehicle. Though, most of the sights, especially in the city proper, are just within walking distance from each other. Northern Iloilo is most distinct from other places in Iloilo. Unlike Southern Iloilo, the coast of Northern Iloilo is dotted with islands bordered by white sand beaches and blue waters. Iloilo’s seafood industry is mostly concentrated in these parts because of its rich marine resources. Nothern Iloilo towns can be accessed by riding a Bus or Jeepney in Tagbak Terminal (also called Northern Iloilo Terminal) in Jaro District. Boracay is a small island in the Philippines located approximately 315 km (196 mi) south of Manila and 2 km off the northwest tip of Panay Island in the Western Visayas region of thePhilippines. 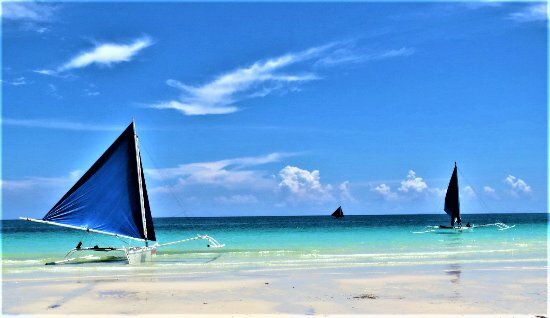 Boracay Island and its beaches have received awards from numerous travel publications and agencies.The island comprises the barangays of Manoc-Manoc, Balabag, and Yapak in the municipality of Malay, in Aklan Province. The island is administered by the Philippine Tourism Authority and the provincial government of Aklan. Apart from its white sand beaches, Boracay is also famous for being one of the world’s top destinations for relaxation. 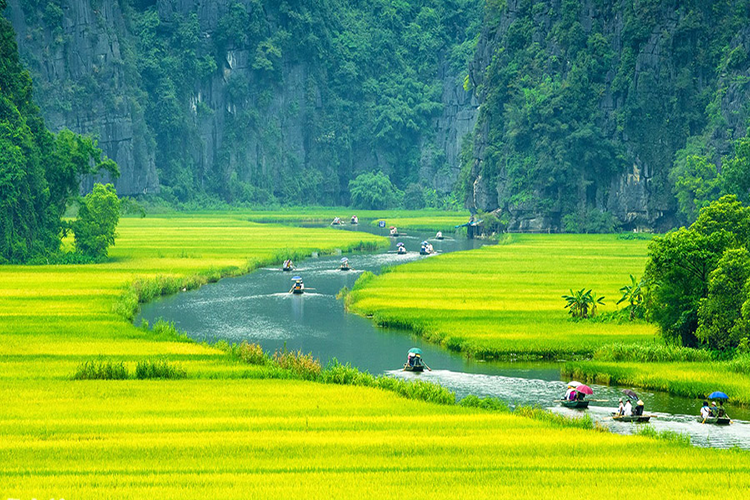 It is also emerging among the top destinations for tranquility and nightlife. Your Boracay adventure experience will not be complete without this trip! The island is home to more than a dozen undeveloped beaches, turquoise waters and colorful coral reefs! Feast your eyes on the amazing scenery, snorkel and get a glimpse of the thriving sea life!The boat trip is for 3 hours with a stopover at Crocodile Island where you can go snorkelling and swimming. Snorkelling gears will be provided for you. Lastly, we will bring you to the famous Puka Shell Beach where sunset is best enjoyed. Paraw Sailing had been a popular activity where riders can view the beautiful shoreline of white beach from above while being pulled by a boat. Imagine being whisked into the sky while strapped in a seat covered by a colorful parachute! Parasailing had been a popular activity where riders can view the beautiful shoreline of white beach from above while being pulled by a boat. This is a fun and exciting experience for those who love heights and want a birds-eye-view of paradise. Manila is the capital and second largest city of the Philippines. It is one of the sixteen cities which, along with the municipality of Pateros, make up Metro Manila, the National Capital Region, whose overall population is around 12 million. It’s more fun in the Philippines with our Manila city tours and day trips. The vibrant capital has everything. Places to be visited – Fort Santiago, Rizal Park, Cultural Complex of the Philippines, Business District of Makati and Manila- American Cemetery. This is the Manila City Tour that you must experience! Intramuros is the old town in Manila built by Spanish colonial forces and considered as one of the best-preserved medieval cities in the world. Beaming with 400 years of history, step back in time as we take you to fascinating museums, churches, colonial houses, cobblestones, plazas, ruins, bulwarks, shopping finds, and other loads of historical treasures. After an interesting Intramuros Heritage Tour, be captivated by the famed sunset of Manila Bay — an extraordinary sight to behold because of the open-air view of the South China sea, the different play of colors decorating the sky, the cool breeze and the grandeur of the historical bay. Seize the moment as you indulge in a full course meal with live entertainment. Sit back as you experience the singing prowess that the Filipinos are known for or just dance the night away.